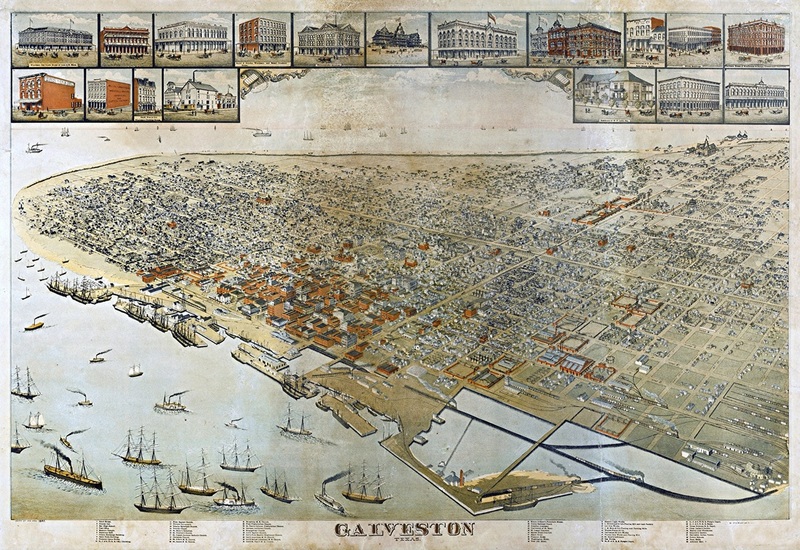 This image of an 1885 hand-colored map featuring the historic city of Galveston, Texas is beautifully printed on canvas. It includes streets and landmarks of a by-gone era that are still familiar today. It was originally drawn by renowned cartographer Augustus Koch who was known for creating maps with bird’s-eye views of America’s growing cities. At the time, Galveston was the largest city in Texas and the third largest cotton market in the country. A TimberFire Studio exclusive, this piece really makes a statement as unique historical art.